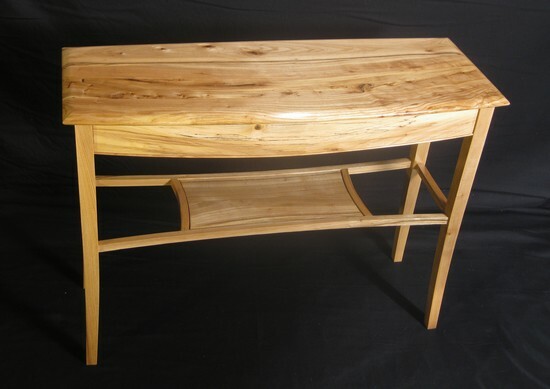 Top constructed using curved joinery of planks from elm tree in Sonoma. 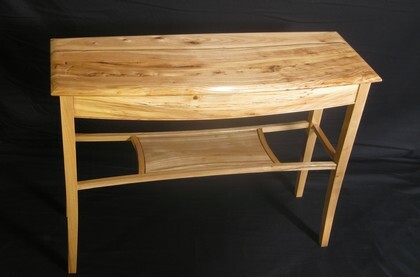 This is a table inspired by the curve in the grain of the top. Legs flare gracefully outwards. 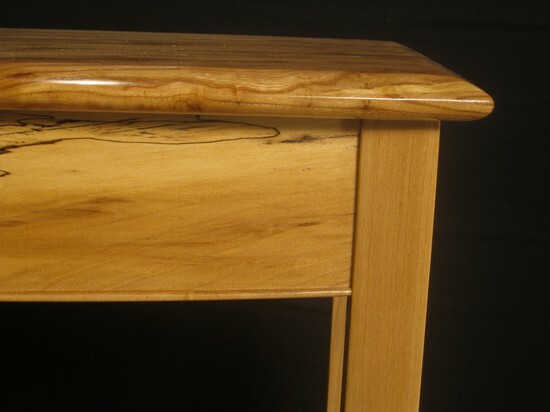 Front apron is curved to match front of table top, and is laminated from spalted elm certified as coming from "The Hermitage" plantation in Tennessee. The stretcher are bent laminations. 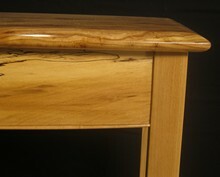 Finished with multiple coats of hand-rubbed varnish.